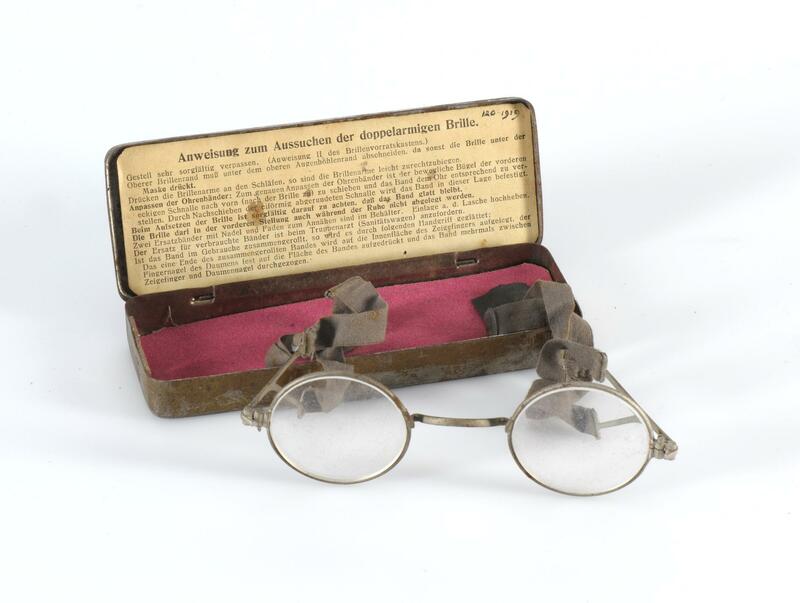 Pair of spectacles with adjustable ear tapes, issued to low category German troops, First World War. Includes spectacle tin box. With the development of spectacles in the early 20th Century, British, American and German troops were all issued a pair each during the First World War.